Inspector blogging: Gets you right there. This morning there was a thank you card over in the office where Patrol, Neighbourhood, Crime Management and Licensing officers hang out. It was from a really strong person and it made my heart swell when I read it. 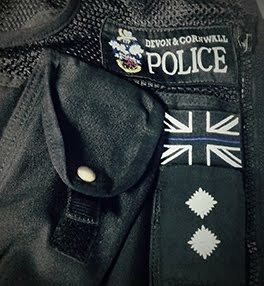 Four or five officers with different jobs and in different departments were mentioned by name with a short paragraph describing how they had helped at the scene, at hospital, giving support and simply being kind. The closing paragraph said something very similar to, "What you did had such an impact on my life. I genuinely believe that without your help I would not be alive today". That's it; all I wanted to say. PS - I wish you a peaceful Christmas with no RTCs, no aggro and where nothing gets pinched.